Our mushrooms come whole, sliced, dices in pieces and other options. The restaurant supply superstore stocks the best wholesale mushrooms available for restaurants and foodservice establishments. 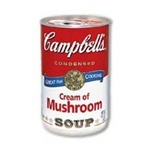 It is popular to add mushrooms to soups, salads, and sandwiches, or to use them as an appetizer by sauteeing them. They are also great in casseroles and stews. 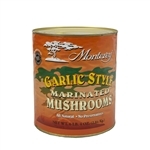 Monterey Red Label Stems and Pieces Mushroom - 16 Oz. 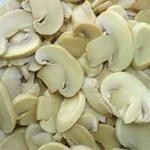 Imports Mushroom Pieces and Stems - 16 Oz. Mushrooms for healthy restaurant cooking of vegetable dishes for your customers. Chinese restaurants work wonders with mushrooms in their mixed dishes. They have lots of nutrients. One medium portabella mushroom has more potassium than a banana or a glass of orange juice. In the US, mushroom extracts are increasingly being used in nutraceutical products and sports drinks as well.